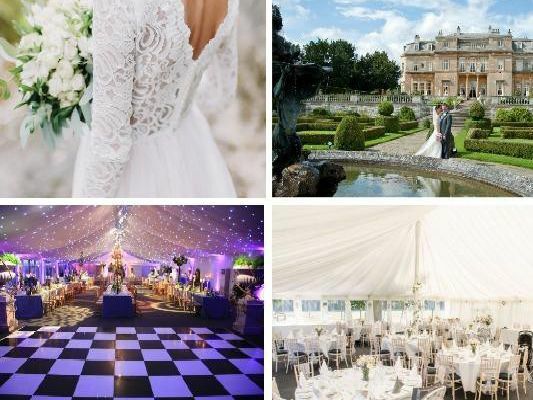 Luton has a wealth of wedding venues, ranging from grand estates to museums to marquees, so if you’re searching for your dream location then there’s plenty to choose from. These are 8 of the best wedding venues in Luton. Putteridge Bury caters for up to 120 guests for your wedding breakfast and up to 160 guests for your evening celebrations. The reflective pool and yew hedges provide a beautiful setting for the all-important photographs. Luton Hoo offers a grand and romantic setting for a wedding, with Queen Elizabeth and the Duke of Edinburgh even returning often to Luton Hoo in the early years of their marriage to celebrate their wedding anniversary. Up to 200 guests can celebrate at this beautiful silk-draped marquee, which offers stunning views across the 18th Green and parkland beyond. You can decorate as you wish and enjoy a delicious 3 course wedding breakfast. This beautiful marquee is situated in the splendid grounds of Luton Hoo Estate's private Walled Garden. It provides the perfect setting for a romantic wedding.